Joseph C. Spagnoletti, Senior Vice President and Chief Information Officer, Campbell Soup Company has been appointed “Executive-in-Residence” at the Fox School’s Institute for Business and Information Technology for the 2012 year. Mr. Spagnoletti was selected for his dedication to students and higher education. As part of the appointment, Mr. Spagnoletti will be spending several days through the year interacting with Fox School students. As part of his induction ceremony on September 26, 2012, he spent a full day at the school mentoring students and providing input on strategy to the Temple AIS student organization. He is also continuing to contribute significantly to the new BBA in MIS curriculum, which is partly modeled after Campbell Soup’s IT services group. The curriculum emphasizes business process, innovation, and partnerships. 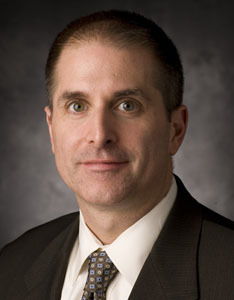 Joseph Spagnoletti was appointed Campbell’s Senior Vice President and Chief Information Officer in August 2008. He leads the company’s global information technology function, providing IT strategy to help Campbell meet its business goals. Joe earned his Bachelor of Science degree in computer science from Albright College in Reading, Pa. He serves on the Campbell Soup Foundation, the Cooper Health System’s Audit/Ethics Committee, Global Management Board of GS1, the Temple University Fox School of Business Advisory Board and the Board of Governors of the Academy of Food Marketing at St. Joseph’s University. In 2004, he was recognized with Campbell’s Influence with Honor leadership award. Joe’s interests include vintage automobiles, motorcycles, snowboarding and surfing.